Shared Ownership is a government backed scheme designed to help you get on the property ladder and make buying a home more affordable. With Shared Ownership, you buy a share in a property â€“ from 25% to 75% of the full market value â€“ and pay us a lower-than-market rent on the remainder. Because you only have to put down a deposit on the share you buy, you wonâ€™t need to save as much for deposit as you would if you were buying outright. We'll help you work out what share you can comfortably afford, but you can increase it later if for example your income goes up (this is known as staircasing). Welcome to a neighbourhood for our times. A place, at the very heart of northwest London, set to redefine urban living. Music is the lifeblood of the area and decades of diversity have created a vibrant and colourful community bursting with opportunities. Now, with beat NW10, the stage is set for a new chapter in this part of the capital. Celebrating the rich history of the area, beat NW10 draws on the close-knit feel of a town with the energy of the city – in a way that only London can carry off. Standing proud on the edge of the uk’s largest regeneration project, Old Oak Park Royal, this superb development looks set to make NW10 a destination postcode. 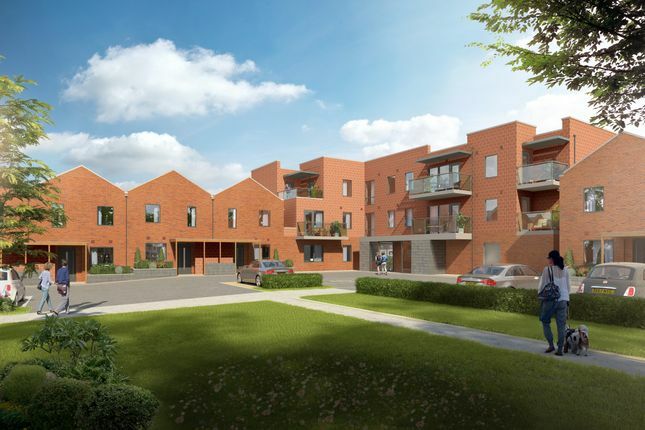 Beat NW10 comprises a compelling selection of 3 bedroom houses for private sale together with 1,2 & 3 bedroom apartments available through Shared Ownership. Spread across the grounds of the former Willesden Reservoir on Harlesden Road, the development is situated in the beating heart of north-west London, within the borough of Brent. Nestled in the neighbourhood of Harlesden, bustling Willesden High Road is just moments away. And with the arrival of beat NW10, you can be certain this unique postcode will continue to be re-defined. Both contemporary and sustainable, the scheme’s design pays tribute to local architecture with a central block of apartments and a wing of houses on each side – a nod to Victorian street layouts. Victorian-style gables also characterise the terraces. The inclusion of warming Reigate purple and red-brick adds a down-to-earth vibe, while environmentally-friendly features include a water system that channels run-off water for use in the communal garden areas. Each house and ground floor apartment has a private garden and deck area whilst the upper floor apartments include balconies. A communal green space is also available to all residents. *Terms and conditions apply, contact our team for details. Travelcard for Zones 1 - 4 only. One travelcard per household. Offer given on completion of sale only. Offer applies to reservations made on/between 19/11/18 – 21/12/18. Sale must complete before/on 29/03/2019 for offer to be honoured. Offer may be removed or changed at any time. Property descriptions and related information displayed on this page, with the exclusion of Running Costs data, are marketing materials provided by Notting Hill Genesis - BEAT NW10 Shared Ownership, and do not constitute property particulars. Please contact Notting Hill Genesis - BEAT NW10 Shared Ownership for full details and further information. The Running Costs data displayed on this page are provided by SmartNewHomes to give an indication of potential running costs based on various data sources. SmartNewHomes does not warrant or accept any responsibility for the accuracy or completeness of the property descriptions, related information or Running Costs data provided here.